Welcome to the Research and Resources archive for the cryptocurrency and blockchain technology industry. We curate the best cryptocurrency research, references, resources and information available on topics of importance to the industry around the globe. Each are credible, mostly free, third-party cryptocurrency industry research and resources selected by our analysts and provided for quick reference in categories including: cryptocurrency research, cryptocurrency investments, blockchain technology, ICOs, exchanges, online security and more to come in the future. Resources are listed, newest-first by category and some reports may need a brief, free registration at source. This archive is new and will be regularly expanded and updated. Suggestions for more industry resources are welcome. Just connect on our Contact page with your suggestions. A new study of the global open-source platform, GitHub, offers key lessons on blockchain development—how projects have grown, what’s likely to come next, and the implications for financial services firms. The interactive report is an interesting way to read the research. 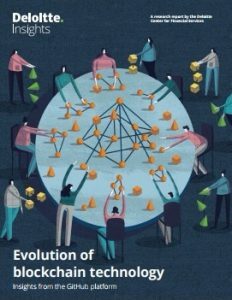 A survey of blockchain governance challenges and multi-stakeholder cooperation opportunities, this WEF White Paper provides a structured analytical framework and taxonomy for use by industry, technical, governmental, civil society and other stakeholders in considering how they might collaborate to resolve problems and unlock opportunities. 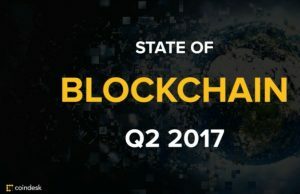 CoinDesk’s “Q2 2017 State of Blockchain” summarizes key trends, data and events from 2017’s second quarter. The in-depth report can be viewed as a PDF or slide presentation. A comprehensive and data-driven portrait of Europe’s technology ecosystem to date. The survey includes qualitative insights from what’s happening on the ground, across the wide European ecosystem, not just London, Paris and Berlin but also Reykjavik, Sevilla, Sofia and everywhere in between. Goldman Sachs’ interactive presentation presents blockchain technology concepts and trends and looks at whether blockchain is ready for business and if business is ready for blockchain technology or not. A very Price manipulation in the bitcoin ecosysteminteresting way to view its research. Academic paper looks at how bots were used to manipulate prices on the Mt Gox exchange, resulting in millions of dollars in bitcoin stolen. 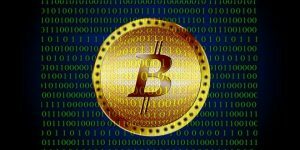 Finder recently commissioned a survey of 2,001 American adults to gain insight into what the nation thinks of cryptocurrency. Surprisingly, only 7.95% of American adults report actually purchasing a cryptocurrency. 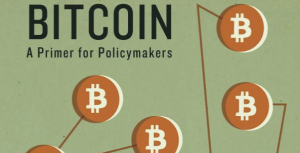 Find out more about the barriers to bitcoin investment. According to a new poll, some bitcoin investors are leveraging their own finances to invest in cryptocurrency. LendEDU polled 672 active bitcoin investors and discovered that many of them are purchasing the cryptocurrency in risky ways using credit card debt. Japan will lead the world in cryptocurrency adoption, according to a survey of crypto investors by Waves conducted in November 2017. Most crypto investors in the survey had never invested in other forms of assets. Only 32 % of them had invested in shares or bonds, and 14% in real estate. Another 17% of investors had sought returns from bank deposits. Fortune looks at a report from digital forensics company Chainalysis that says nearly four million bitcoins are “lost” due to being taken out of circulation, are original coins, coins bought and sold, invested or newly minted. The estimated value ranges between $20 billion and $28 billion. This is an analysis of the impact of suspicious trading activity (STA) on the Mt. Gox Bitcoin currency exchange between February and November 2013. It concludes that the suspicious trading activity caused the unprecedented spike in the USD-BTC exchange rate in late 2013, when the rate jumped from around $150 to more than $1,000 in two months. 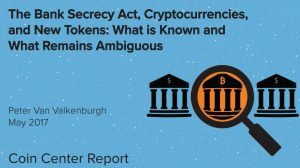 This report summarizes how various activities performed with cryptocurrencies and similar tokens have thus far been characterized by FinCEN and other authorities for the purposes of determining the compliance obligations of persons performing those activities under the Bank Secrecy Act. This report reviews the approaches taken by the several States thus far, and offers model language for a sui generis statute or amendment to a money transmission statute. It is not a draft or model bill in full. Instead, language is offered for the essential components of any virtual currency law: Who must be licensed? How do you define “control” of customer virtual currency? How are startups encouraged while still protecting consumers? How is solvency guaranteed? 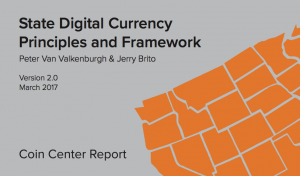 This plain language guide describes how the digital currency works and addresses many of the common misconceptions about it. 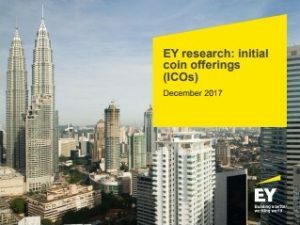 This Ernst Young report provides exceptional insight into the biggest risks in the ICO market, including: flawed token valuations, unclear regulations, heightened hacker attention and congested networks. It also found 10% of ICO funds raised were stolen. This new report looks in-depth at the growing threat of ransomware, trends and it’s personal, business and economic impact. The nature of crime in the Bitcoin ecosystem has evolved since it was popularized as a way to buy drugs on the internet via the first darknet market, the Silk Road. Darknet markets are no longer a major use of Bitcoin, accounting for less than 1% of Bitcoin transactions in 2017, while theft of Bitcoin via scams, ransomware and hacks is on the rise, reaching at least $90 million in 2017. 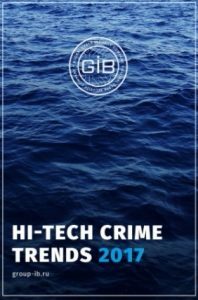 Global security company Group-IB offers a valuable look at the latest trends in high-tech crime including ransomware and attacks on cryptocurrency services and IT infrastructure. Check Point’s latest Global Threat Index reveals the rise of crypto-mining malware targeting enterprises. 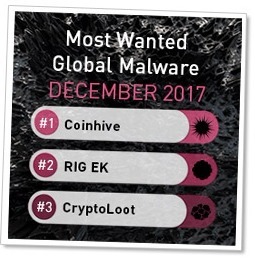 During the month of December 2017, crypto-mining malware rapidly rose in Check Point’s Global Threat Index’s top ten most prevalent malware. We respect your privacy, and take protecting it seriously.